Feature Shoot has opened submissions to the fourth Print Swap exhibition to be held in April as part of the 10th Anniversary edition of the Month of Photography Los Angeles by the Lucie Foundation. The Print Swap. (l-r) Ronald William Waite (@r.williamwaite), Koleena Guzman (@koleeeena), Sherri Nicole Miller (@sherrinicolemiller), Tim Fisher (@timfisherphotography). Photographers can submit images via Instagram by using the hashtag #theprintswap or via email to theprintswap@gmail.com. Curator Paul Kopeikin, the director of the Kopeikin Gallery, will select 30 images by the Jan. 26 deadline for the exhibit. Each photographer gives away a print (after paying $40 printing fee) and receives one chosen at random in return. For more information see the text of the email announcement below. The fourth-ever Print Swap exhibition will take place this April as part of the 10th Anniversary edition of the Month of Photography Los Angeles! As always, we're inviting photographers around the world to submit images via Instagram by using the hashtag #theprintswap. Curator Paul Kopeikin, the director of LA's renowned Kopeikin Gallery, will select thirty outstanding images from photographers participating in The Print Swap to be part of the show. With 25+ years in the gallery world, Kopeikin is the perfect fit for this exhibition. The Month of Photography Los Angeles by the Lucie Foundation has been a premier festival for photographers, curators, editors and collectors since it was first launched in 2009. There is no theme for the exhibition. In addition to Instagram submissions, we accept submissions sent via email to theprintswap@gmail.com. While The Print Swap is an ongoing project and there is no deadline to submit images, photographers must submit by Jan. 26, 2017 at 11:59PM EST to be considered for this show. 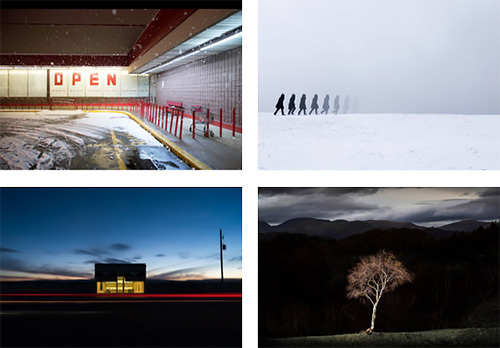 Every photographer who participates in The Print Swap gives a print and receives a print. Prints are mailed at random all over the globe, so it's always fun to see who ends up with which print. There is no fee to submit, though selected photographers pay $40 per image to participate. We cover printing and shipping. Learn more at The Print Swap Web site and on Instagram.